The lawn is the central feature of your garden. 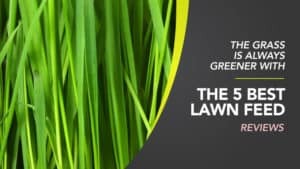 Regardless of whether you have decking, patio, or even a stunning fountain adorning your personal sanctuary, it is meaningless without a lawn that looks healthy, green, and well maintained. 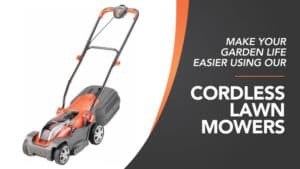 We know it’s not always the easiest task, as lawns often take a lot more work and effort that you might expect, and you can often be met with feelings of defeat and hopelessness. However, we might just be able to help you out with your crisis. The right lawn feed not only leaves your lawn looking greener and healthier, but it can also ensure that weeds and other nuisance plants are dealt with swiftly so that you can avoid further stress and hassle when you are gardening. Of course, it’s a difficult area to navigate, and we understand that it can be hard to know where to start. 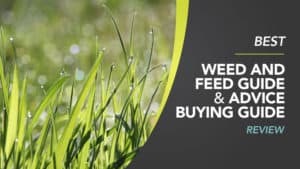 In order to help you find the best lawn feed, we have put this guide together, compiling all of the relevant lawn feed reviews in one place so that you can find the perfect one for your grass. 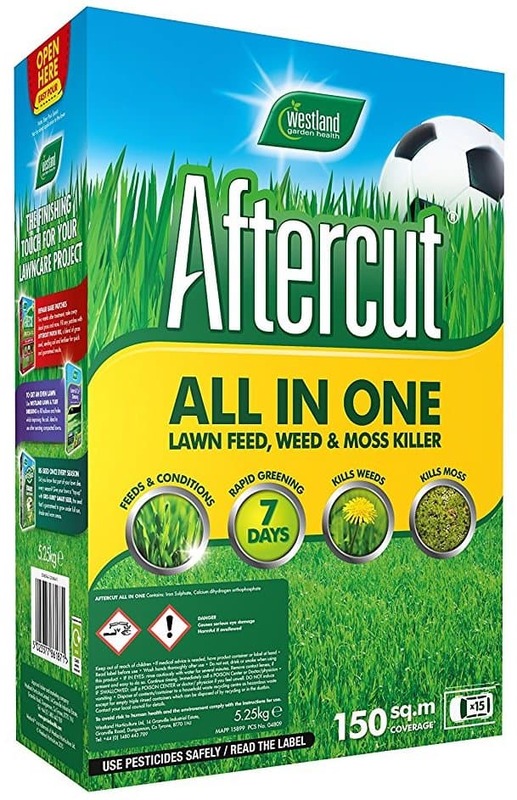 Aftercut is an excellent brand of lawn feed, and if you need something that is able to tackle and kill all that pesky moss in your garden, this might just be the best choice for you. 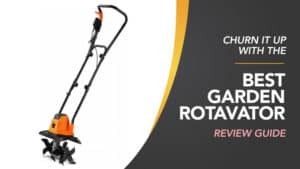 Take a moment to read the review for this lawn feed below and see if it’s going to be what your garden needs. 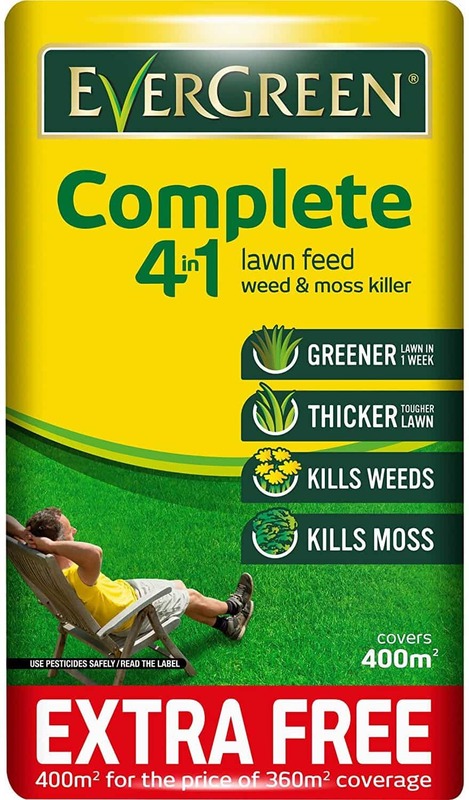 This lawn feed acts as an all in one, and is the ideal one to use on lawns that have problems with moss and weeds. 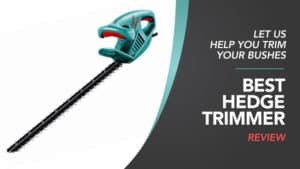 It uses a triple action formula that not only acts to kill the aforementioned plagues on your lawn, but also ensures that it is left looking greener and healthier than ever before. You will even find that the grass is thicker and more luscious, and it will leave a gorgeous summer lawn. 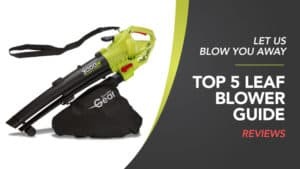 It only takes seven days for the full effects to become visible, and if you have really stubborn weeds that refuse to go away, you can retreat your lawn after six weeks for the best results. However, you should not treat the lawn more than twice in one season as this can cause damage. The entire packet can cover an impressive area of 150m2. Larger and smaller options are available. Some customers have found that the dispensing system can be a little fiddly and impractical. 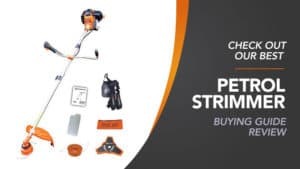 This lawn feed comes at an excellent and affordable price, so you don’t have to spend a fortune to get your lawn looking gorgeous again. 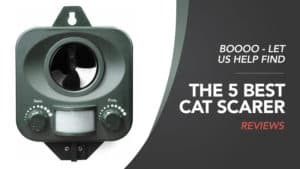 While the dispensing system has not been easy for everyone to use, the results that the lawn feed produces are still superb, and you are sure to be left feeling more than impressed by the level of green and health that your lawn is in. Plus, if the moss comes back, a second treatment should see it gone for the rest of the season. 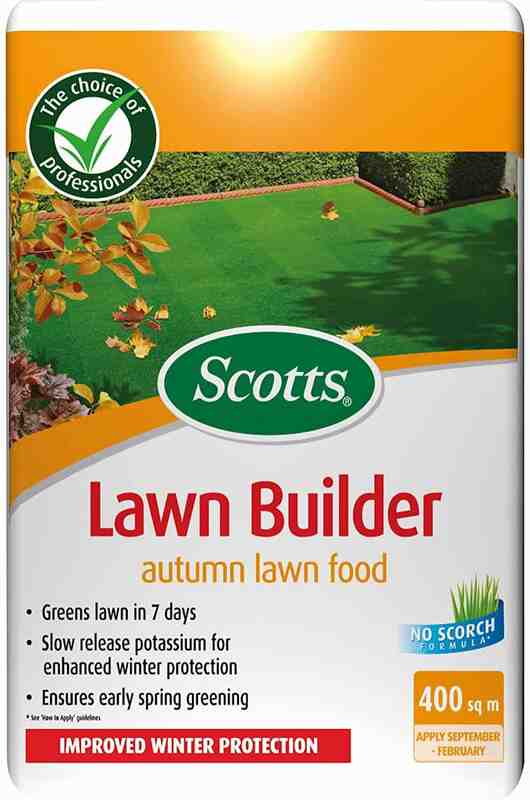 Scott’s is also a great one to go for, as they have worked hard over the years to perfect their various lawn feeds so that you end up with strong and happy grass. 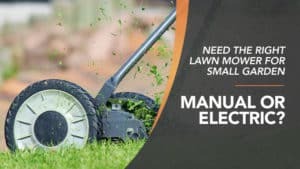 If you need something for the autumn season so that your lawn is prepared for summer, keep reading as this could be what you need. The purpose of this lawn feed is to apply it in the autumn so that the roots can grow stronger in order to survive the harsher and colder winter months. To be applied as the last feed of the year, the high potassium content gives your lawn protection from the winter cold, and the encouraged root growth means that you are also left with a thicker and stronger lawn overall. t takes seven days for you to start seeing the effects, and you will notice that the grass is greener and looks healthier. 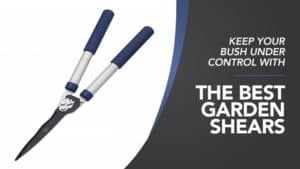 It is a slow release formula as well, which encourages steady growth instead of surging – something that can potentially cause damage to your lawn. 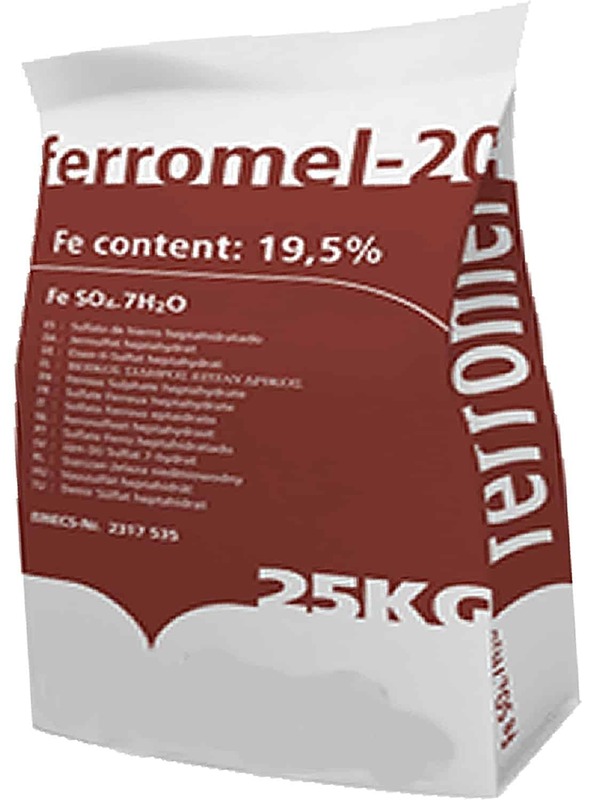 One pack of this lawn feed is also able to cover 400m2, so it is perfect for most gardens. 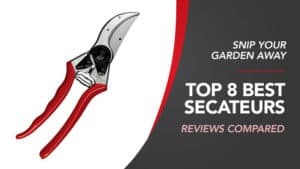 It doesn’t do a great job dealing with weeds or moss, so you might need something extra for these issues. 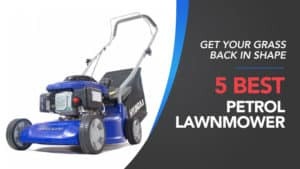 This lawn feed comes at a reasonable price, and one that most can afford if they need a product that has a good amount of coverage. 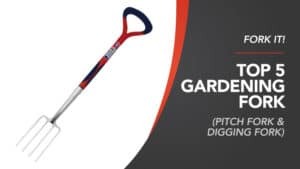 While it doesn’t work amazingly at killing weeds or moss, this is not what it has been designed to do, and you can pick up other products to deal with it. 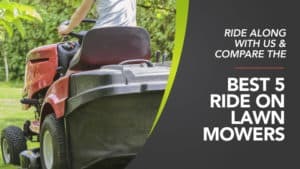 For lawns that are able to thrive over the winter months and bounce back stronger and healthier in the spring, you are going to want to pick up this autumnal lawn feed. You won’t regret it. Weeds are, objectively, the worst. 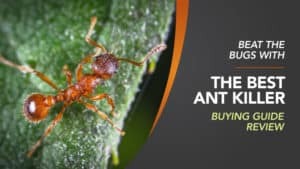 They ruin lawns, overrun flower beds, and can leave your garden looking less than impressive. 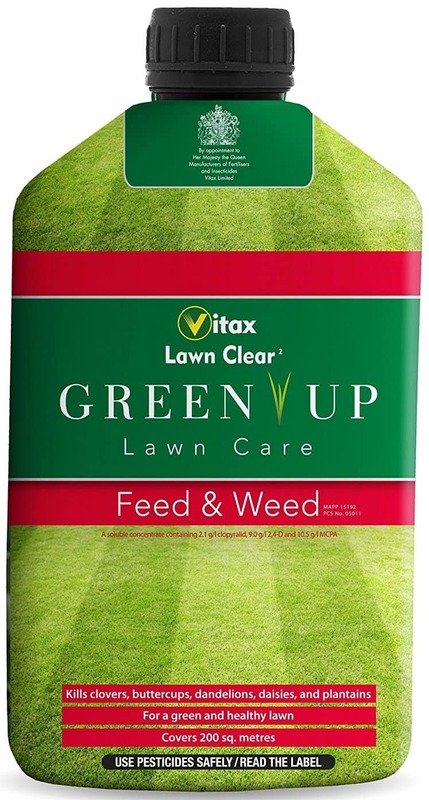 For situations like this, you need a strong and reliable lawn feed that has weed killer in it, and this one from Vitax could be just right. Read on and see for yourself. This lawn feed is perfect for those who want to get their lawns looking fresh, healthy, and good as new. It works to kill every common lawn weed (pesky dandelions included), and will also promote growth in the dead areas that they leave behind. 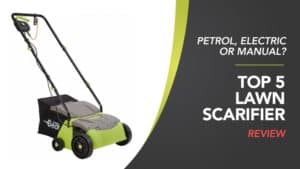 It also ensures that your lawn is left looking and feeling healthier than it was before, as well as keeping it a wonderfully fresh shade of green. 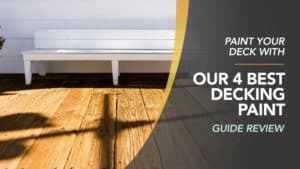 You will start seeing greener results in just three days, which is quite impressive considering most take around a week, and you can also apply it between the months of April and September without issue. It can even leave your lawn thicker. 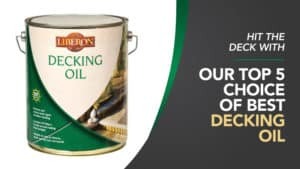 It has an excellent coverage of 200m2, which makes it suitable for most gardens as this is quite a large surface area, and it only needs to be applied once a year. The coverage instructions are not always the clearest when you go to read through them. This lawn feed is really cheap, and only needs to be watered in which can make application very easy. 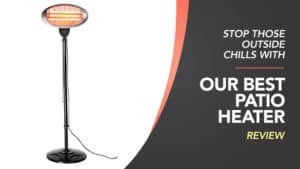 While the coverage instructions can take getting used to for some, once you get there you will be very pleased with the end results, as well as the ease of use. It is the perfect lawn feed for healthy growth and the removal of weeds. Plus, it only needs to be applied once a year, so it doesn’t take up too much of your gardening time. 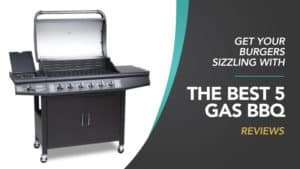 EverGreen is a brand we all know, and most of you will have witnessed their catchy television commercials at some point. As we mentioned before, weeds are an absolute pain when they grow in your lawn, and a lawn feed that can also kill them is often the perfect solution. This could be it. This lawn feed has been designed to keep your lawn on top of its game, and after just seven days you will notice that it looks greener and healthier than it did before. 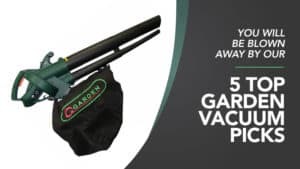 It helps it to grow thicker, keeping your lawn looking luscious, and also acts to kill moss and weeds so that you are not left with prickly leaves and unattractive plants – this is what makes it a 4-in-1 lawn feed. The entire box can cover an impressive 400m2, ensuring that you are able to keep your entire lawn well cared for throughout the year. 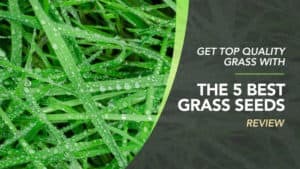 It contains the key nutrients potassium and nitrogen to ensure that your grass is in top condition, and it can be applied to your lawn between April and September without issue, leaving you with a strong and healthy summer lawn. 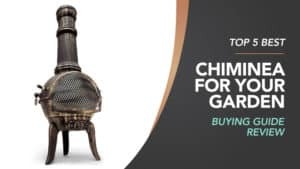 You have to be exceedingly careful when applying this to your lawn, as too much can end up burning the grass. 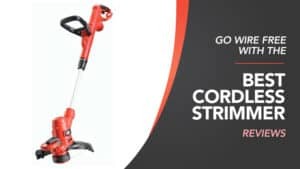 This lawn feed is reasonably priced, and comes from a brand that is known for producing excellent lawn feed and garden care products. 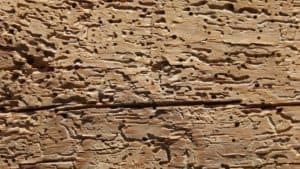 While it can burn and scar your lawn if you apply too much to one area, if you are careful and precise with the measurements there should be no issues. Once you leave it to work its magic, you will be left with a lawn that looks and feels amazing, as well as no more weeds and moss. There is also the option to buy different size packs for larger or smaller gardens. You might not think that your new lawn needs any food, but it can actually act as an effective preventative measure when you are trying to keep and maintain your new turf. Have a look at the reviews below and see if this lawn feed is going to be right for your garden (and new lawn). This lawn feed actually works as a preventative measure, helping to protect your new turf against various diseases that could kill or damage your grass. 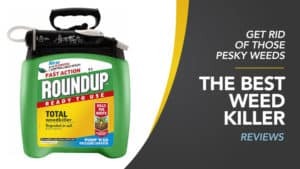 It is a tried and tested formula that can even help to protect your lawn from weed and moss growth as it works to make your turf stronger and more resilient as it continues to grow and settle. It is really easy to apply, as it can be watered or spread depending on what you find easiest. 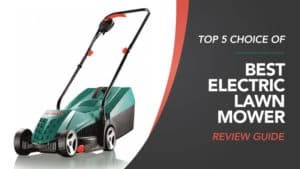 It will help your lawn grow and become a deep green (a sign of good health), but can also be used to keep the moss and weeds away once your new lawn has finished growing and is settled in your garden. The bag itself is massive, and it can cover your garden several times over. The instructions can be a little tricky to follow at first, and so it takes some getting used to. 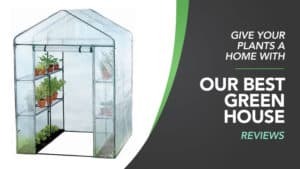 This lawn feed comes at a good price considering how big the bag is, and it is also perfect for new lawns as it acts as a preventative treatment for things like weed, moss, and even lawn-based diseases. 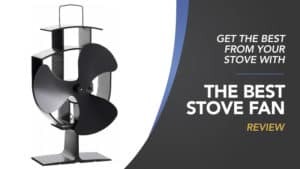 While the instructions are not always the easiest to follow, once you get the hang of them you will find that application is incredibly simple. It’s the ideal treatment for your new lawn, and one that you will certainly not regret. Here are some further models of lawn feed, just in case the ones above do not quite meet your requirements. 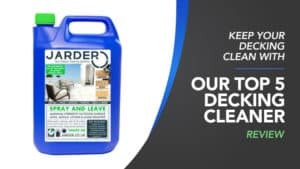 These lawn feed and weed killer is really easy to use, and the entire container is able to cover up to 5000sqm of lawn – keeping things green and the weeds down. 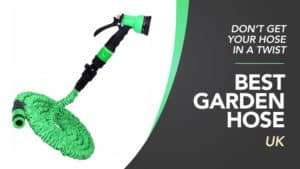 It can even be used to tackle difficult moss growth that has invaded your garden, and it comes with detailed instructions for use so that you can get the most out of it. 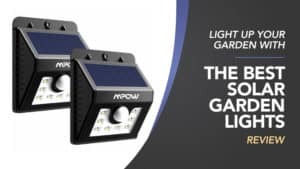 Not only this, but it is also incredibly powerful and has been used by a number of professional gardeners to keep client lawns looking their best at all times. 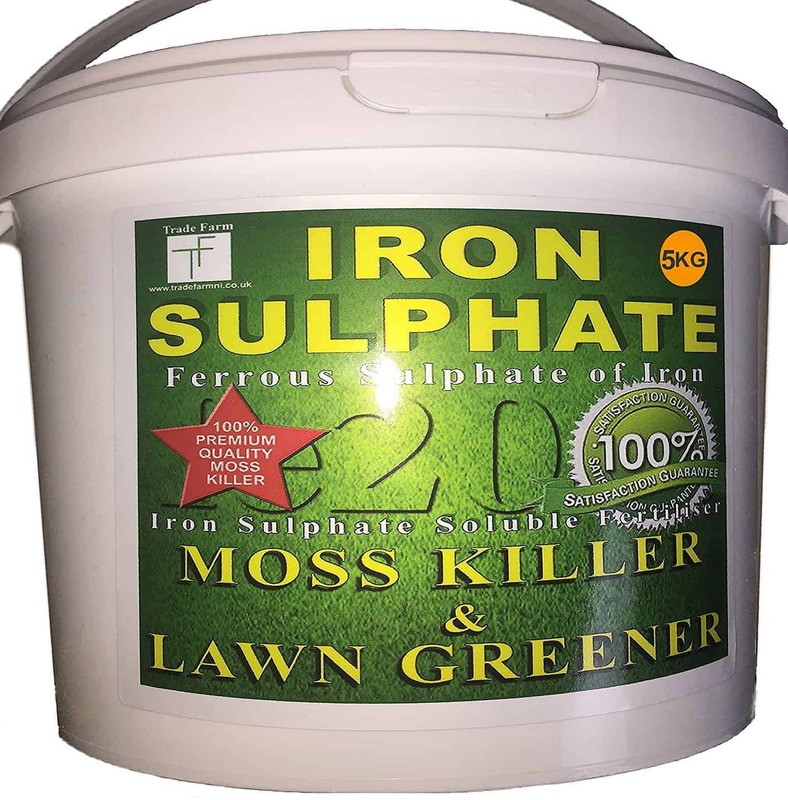 As a high-grade iron sulphate powder, it helps to keep your lawn free from disease, and it also comes at a very reasonable price. 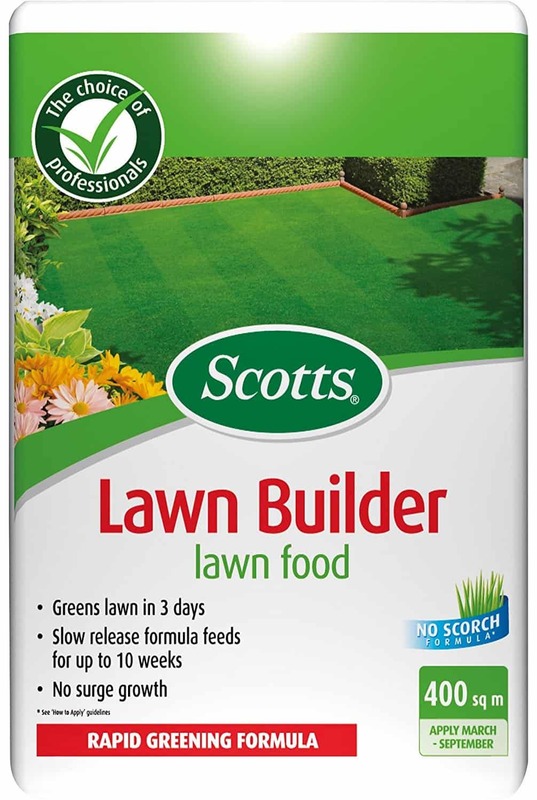 Another product from Scott’s, this lawn feed helps your grass to grow healthily and green, so that you are left with a gorgeous lawn that looks and feels amazing. 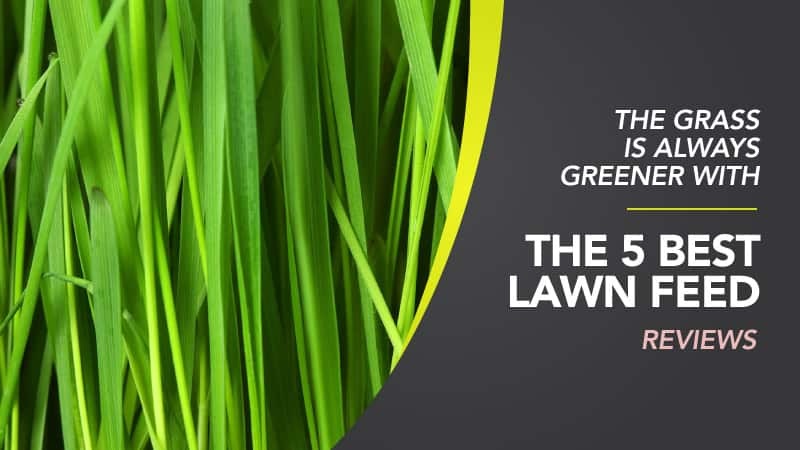 In just three days, you will find yourself with a greener lawn – so you can say goodbye to yellowed and dying patches of grass. The formula is slow release as well, promoting healthy growth instead of surges, ensuring a gradual and steady progression. 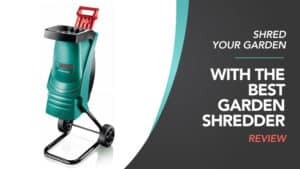 It does not scorch, nor does it need to be watered in, and the entire box can cover an excellent 400m2 of lawn in no time at all. 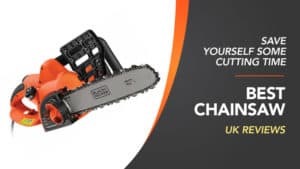 Plus, it comes at an excellent price so it won’t break the bank to fix your lawn. You can also pick up a smaller pack for a lower price. 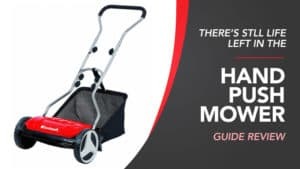 Hopefully, this guide has helped you to find the best lawn feed for you, and the lawn feed reviews have helped you to figure out which type is going to work best for your lawn and the issues that you are facing when it comes to maintaining it and helping it grow. 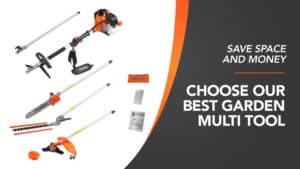 Whether you are in search of something that keeps your lawn green, kills weeds and moss, or helps your lawn to stay healthy and grow during the colder months, there is a product here that matches your needs perfectly. 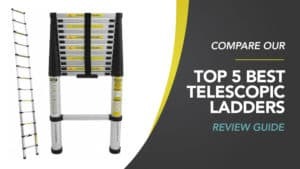 Plus, they come from a selection of well-known and reputable brands to ensure that you are able to go with a company that you know and trust to deliver results. 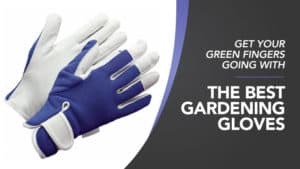 With excellent coverage and a range of prices to suit any budget, we hope to help make gardening easier for you. What did you think of our lawn feed guide? Are there any that you would have liked to see or recommended? We love hearing from you, so make sure to leave us a message in the comments below.